Special Olympics South Dakota coming to Vermillion! 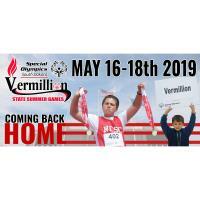 The Vermillion Area Chamber & Development Company is pleased to share that plans are in place for the 51st Special Olympics State Summer Games on May 16-18, 2019. The Special Olympics will return to its birthplace in Vermillion, South Dakota, after 50 years West River. With many events scheduled, it is expected that over 580 athletes, 250 coaches, 500 games volunteers and 35 delegations will visit the community. The events will begin Thursday, May 16th and continue through Saturday, May 18th. To kick-off this second half-century of Special Olympics South Dakota, the opening ceremony will take place on May 16th at 7pm. Saturday morning’s events will begin at 8am with volunteer registration, and athletic events will commence at 9am. Volunteers are still needed for all three scheduled days of the event. Anyone 16 or older is invited to volunteer; volunteers will receive a commemorative t-shirt and be provided a meal during the games. It’s the perfect opportunity to meet new people, and a unique chance to work with athletes from across the state of South Dakota. If you are interested in volunteering for the 51st Special Olympics Summer Games, contact Mike Bartos at the Vermillion Area Chamber & Development Company at 605.624.5571 or at Mike@VermillionChamber.com. You can also visit www.livevermillion.com to register as a volunteer. Sponsorship opportunities also exist! For sponsors of $1,000 or greater, a recognition banner including your logo will be displayed during the games. All sponsors will be recognized in the official State Summer Games program. All contributions are tax deductible. Contact the VCDC office at 605.624.5571 for more information about how to support this fantastic event.